My name is Matt Holden. The other night my friend Sara was in town from Denver and we decided to get tattoos while she was here. 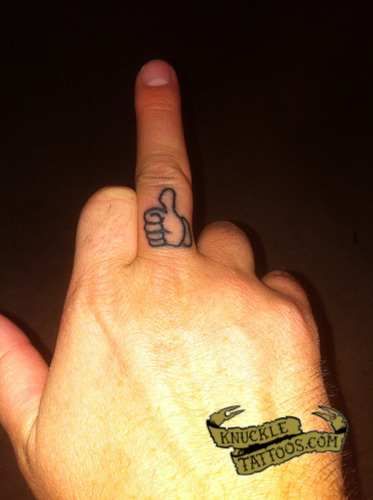 We walked over to Vivid Tattoo in San Diego, saw Andrew and I walked away with a thumbs up on my middle finger. I love the irony of flipping the bird and also giving a thumbs up.